Baccarat Punto Banco, the North American version of Baccarat, is a relatively simple game of chance played out as a contest between two opposing hands. On one side, the player and on the other the banker, with both hands trying to get as close to nine as possible. The game was originally played by only the elite, whereas now-a-days it attracts wealthy gamblers due to its high win rate chance and low house edge. Unfortunately for Canadian gamblers the game doesn’t seem to be extremely popular as opposed to more familiar games like craps and blackjack. 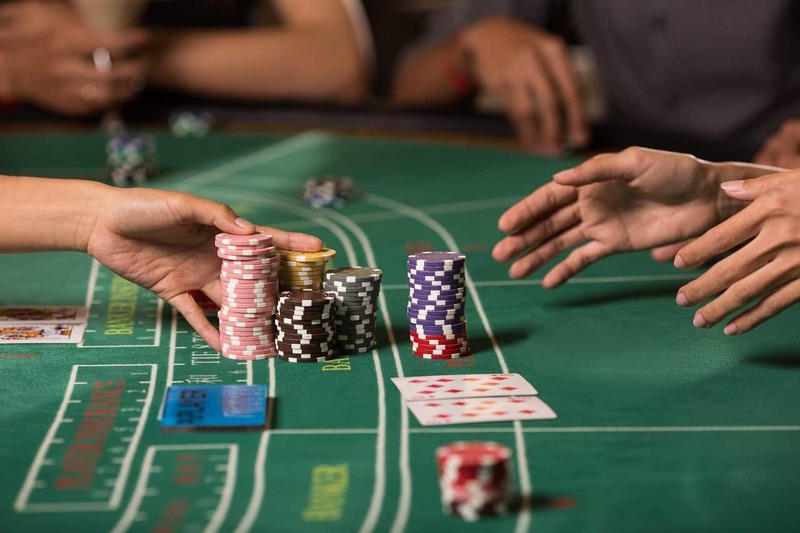 The reason being is people are just not familiar with it as they are other casino games, whereas the game is quite popular in Asian countries. However, it is important that casino goers and those who play on live online casinos, don’t get intimidated by the game, as it’s really just a game of contest and the rules are simple. The game is available in all major Canadian casinos and online – such as at Spin Palace, Casino Room, Hippodrome Casino. There are two modes in which Baccarat Punto Banco can be played as. Either in a mini/midi format which is where the designated dealer acts as the banker and deals all of the cards, or where the “shoe” that contains the cards is passed from player to player who assumes the roll of the banker. The bank is never controlled by the player, but the banker’s cards and hand are dealt and totalled by the player during a “full-sized game”. Regardless of which format the game is being played in, the players will always wager on one of three options: the player, the bank or a tie also known as an egalite. Hands will always have either two or three cards which is determined by the drawing table. The first thing to note is that tens and face cards, such as the jack, queen, and king are worthless and have no value. All of the other cards have their respective values while aces are worth one. When one looks at their hand, finding the total is as simple as adding up the values. However, one must keep in mind that if the hand is worth double figures, ten will always be removed. An example of this would be if the player had a 4 and an eight, which equals 12, ten would be removed, leaving the player with 2. If three cards were dealt and the player had a 10 + 5 + 2 = 7 as the 10 is removed. If the player’s two initial cards total 6 or 7 then the player stands. If the player’s first two initial cards total an 8 or 9 then the player stands with what is known as a “natural”. If the banker’s first two initial cards total 0-3 then the banker must always draw. If the total for the banker is a 3, then they will only draw if the player’s third card is 1-7, 9 or zero and DOES NOT draw if the player’s third card is an 8. If the total for the banker is a 4, then they will draw if the player’s third card is 2-7 and DOES NOT draw if the player’s third card is a 1, 8, 9 or zero. If the total for the banker is a 5, then they will draw if the player’s third card is a 4-7 and DOES NOT draw if the player’s third card is a 1-3, or 8, 9 or zero. If the total for the banker is a 6, then they will draw if the player’s third card is a 6 or 7 and DOES NOT draw if the player’s third card is a 1-5, 8, 9 or zero. If the total for the banker is a 7 then the banker stands regardless. If the total for the banker is an 8 or a 9, then the banker stands regardless with a natural. In addition to the above, the banker will draw on totals of 0-5 and stand on a 6-9 when the player stands on a 6 or 7. There are also no optional draws available. Those who lost the bet have their bets collected, while winning bets are then paid out. If it is a tie, those who bet on the player or bank do not lose their stakes and can choose to keep them, change them or withdraw them. Winning bets are paid out as follows: Banco wins are paid out 19 to 20, whereas winning wagers on Punto are paid out 1 to 1 and winning wagers on the Egalite are paid out at an 8 to 1. The main reason players are attracted to the game is because the house edge is low sitting around 1.17% whereas the edge for the player is around 1.24% and a tie sits around 14.36%.